Choose up to 5 colours for your flowers. You can choose up to 2 colours for your leaves if your chose that option. 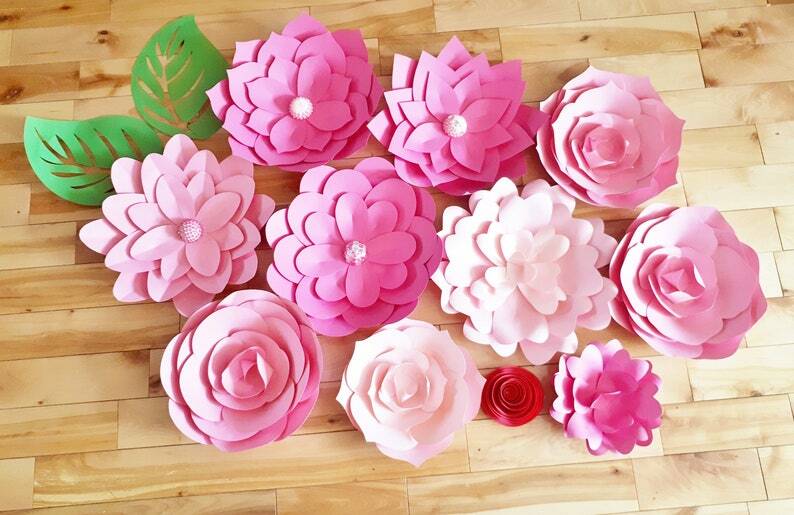 This Paper Flower set of 11 is perfect to create a beautiful archway for your wedding ceremony. Perfect as a backdrop for a wedding reception, event, or birthday party. 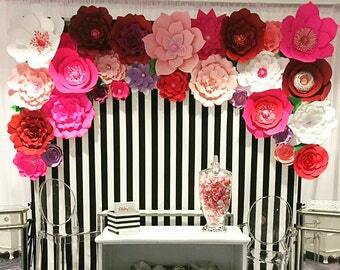 Use for decorations at your bridal or baby shower. 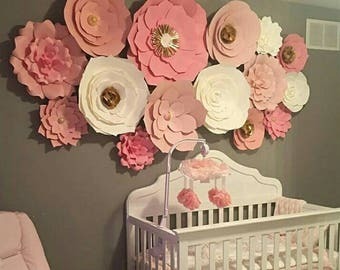 And also wonderful for a flower wall in your baby nursery or little girl's room. Flowers come completed. Made with premium cardstock paper.